It’s an obsession really. Taking a million pictures of my Hula girl. I can’t help it, I want to cherish and savor every waking moment I can with this furry 4-legged being. 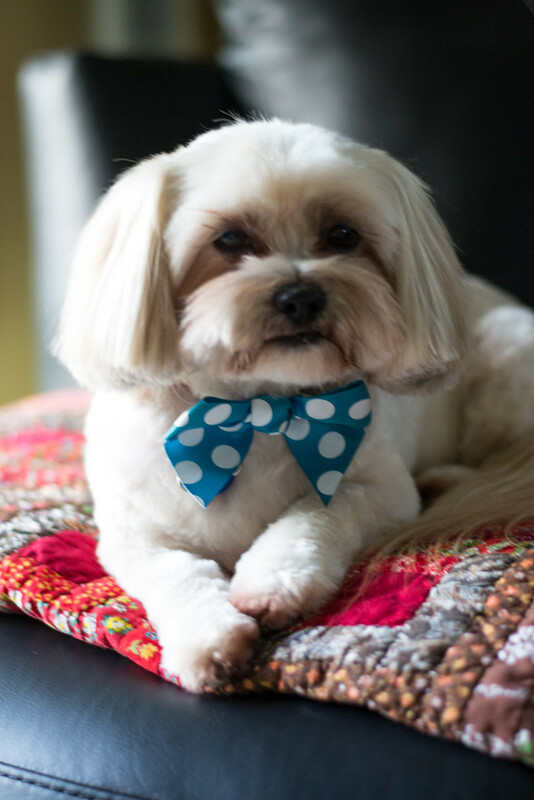 I mean seriously….look at this face! It wouldn’t be “my blog” without at least 1 photo every now and then of this adoreableness. And speaking of obsessions, I am also obsessed with hummus! It’s weird right, but obviously I am not the only one according to this Huffington Post article. 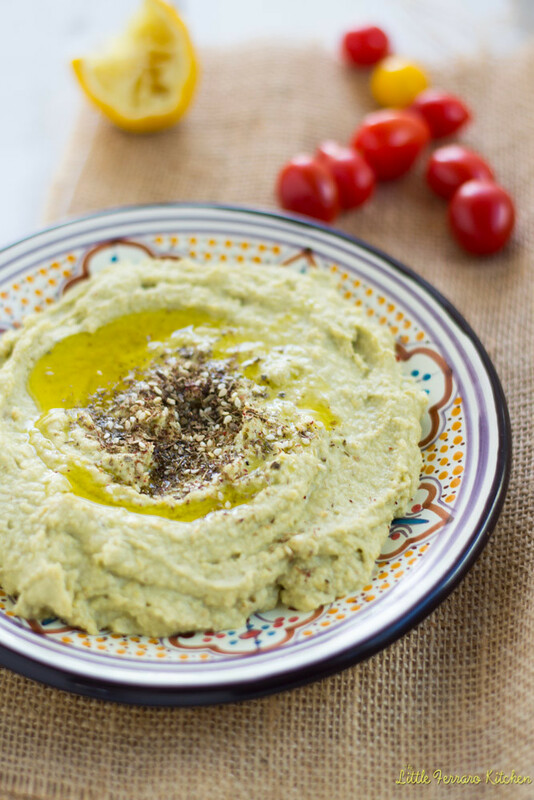 It looks like hummus is a multi-million dollar industry, yet it is SOOO easy to make at home! 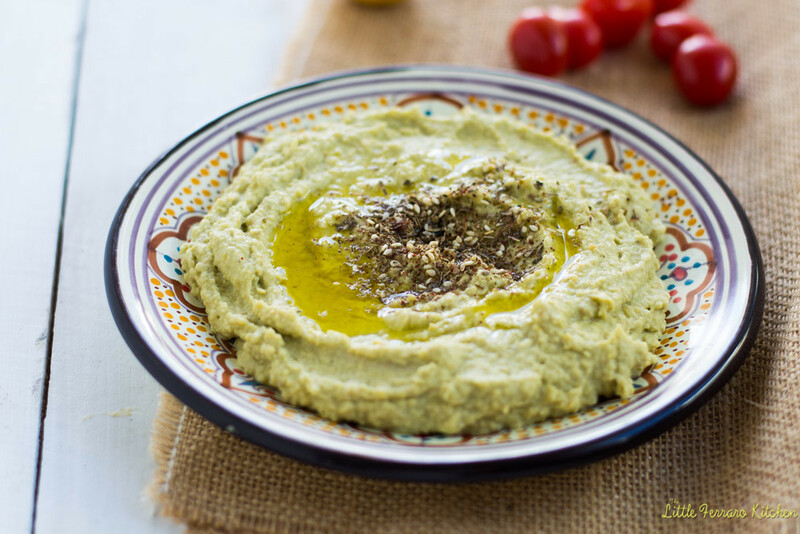 Not to mention how amazing healthy hummus is for you and how fabulous it is for your heart, this savory dip is so easy and quick to throw together. And I am sure most people have everything in their pantry now. So far I have made the standard classic hummus and roasted beet hummus. I have butternut squash hummus in the queue for posting and today, I encourage you to make my creamy avocado hummus with a zesty bite of za’atar! You’re going to laugh (or maybe just I will) because I made this out of necessity. My last avocado was craving to be eaten and I needed an afternoon pick me up snack. So there I go, spending a good 10 minutes over my sink shelling my garbanzo beans instead of just picking up a small container of hummus at the store. And that’s the trick to the ultimate creamy hummus, which I wish I knew when I made my classic version. Whether you are using canned or fresh beans, take the extra few minutes and take the “shell” off. Once you get a hoppin’ rhythm going, it’s smooth sailing from there and you will have the best, creamiest hummus you have ever had. Trust me on this. I am trying to think of other fun ways to spice up hummus. I am thinking of mixing flavors and spices…maybe roasted red pepper and feta? Or hatch chile hummus? Any other ideas? Drain and rinse garbanzo beans. Remove the outer shell of each bean with your fingers and discard shell. Add to food processor. Along with the garbanzo beans, add the flesh of the avocado, tahini, lemon juice, garlic, cumin, paprika, cayenne, salt and pepper and a drizzle of olive oil. Pulse together until everything is combined. If it is too thick, add a Tb of water at a time until desired consistency. I also like to add extra lemon juice. Taste for seasoning. When done, layer hummus on a plate, making a small well in the center. Drizzle additional olive oil and sprinkle za'atar. Pretty hula-girl! I love that bow-tie on her. 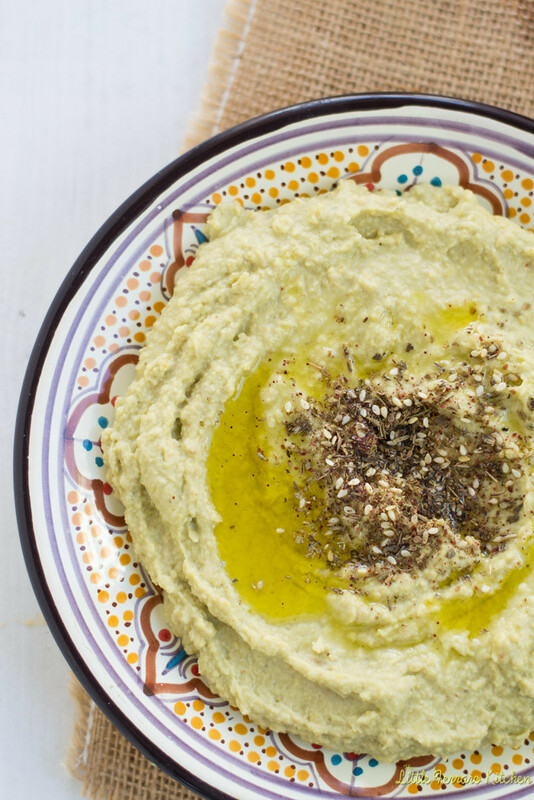 I also love this hummus and need to make it soon! Awww your pup is so sweet!!! Thanks so much Aggie!! Me too!! 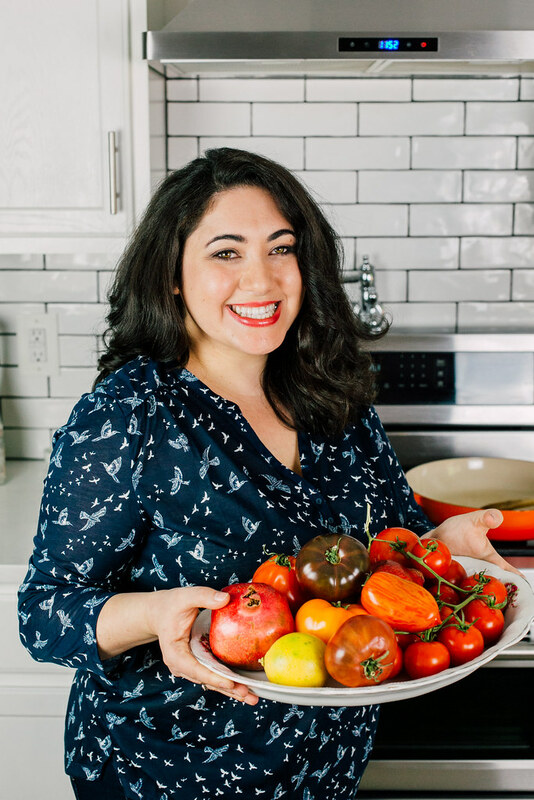 I’m putting za’atar on everything! there is a puppy on tv for some puppy food. Every single time I see it I think its Hula. Did you know your lil pup had a side job? Nom nom to this hummus! Umm..I need to see this commercial! Ohhh I am sooo checking yours out!! LOVE artichoke!